Jani Virk (Ljubljana, 1962), a novelist, journalist and translator, graduated in German Language and Comparative Literature from the Faculty of Philosophy in Ljubljana. From 1985 to 1991 he was a freelance artist, and then began working as a journalist. 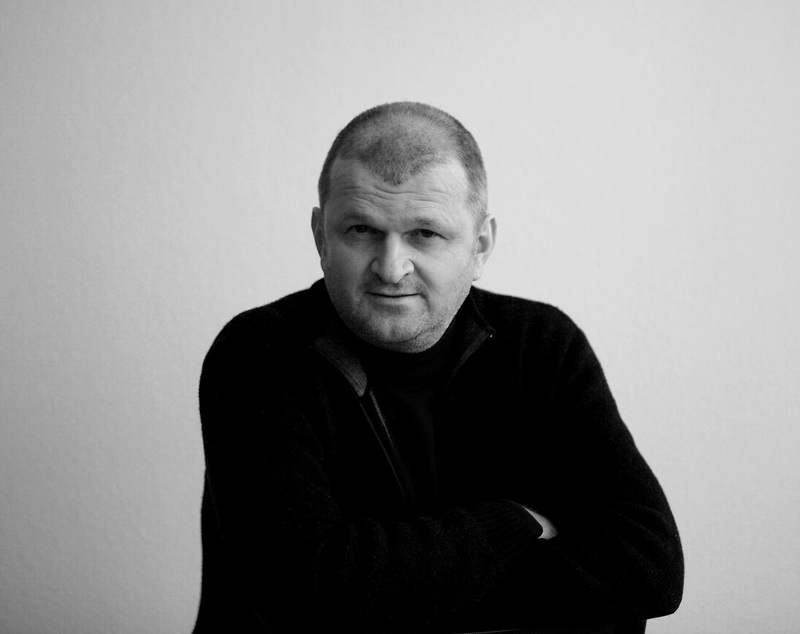 He is currently the Editor-in-Chief of cultural and artistic programmes for the RTV Slovenia. He is one of the most important Slovenian contemporary prose writers. He writes novels, stories, essays, poems and screenplays. Besides one book of poetry and one book of essays, Jani Virk has published four books of stories and novelettes: Skok (A Leap, 1987), Vrata i druge priče (Door and Other Stories, 1991), Muškarac nad ponorom (A Man Over an Abyss, 1994) and Pogled na Tiho Brahe (A View of Tiho Brahe, 1998). He has written seven novels: Rahela (1989), Poslednje Sergijevo iskušenje (The Last Temptation of Sergey, 1996), 1895, Potres – hronika neočekivane ljubavi (1895, The Quake – A Chronicle of an Unexpected Love, 1997), Smeh iza drvene ograde (The Laughter Behind a Wooden Fence, 2001), Letnji sneg (Summer Snow, 2003), Aritmija (Arrhythmia, 2004) and Ljubav u vazduhu (Love in the Air, 2009). Novels by Jani Virk have been translated in several European languages. His translations from German include works by Thomas Bernhard, Gerhard Roth, Hans Artmann and Elias Canetti. Arhipelag published, within its edition A Hundred Slavic Novels, Virk’s novel Poslednje Sergijevo iskušenje (2010). He lives in Ljubljana.